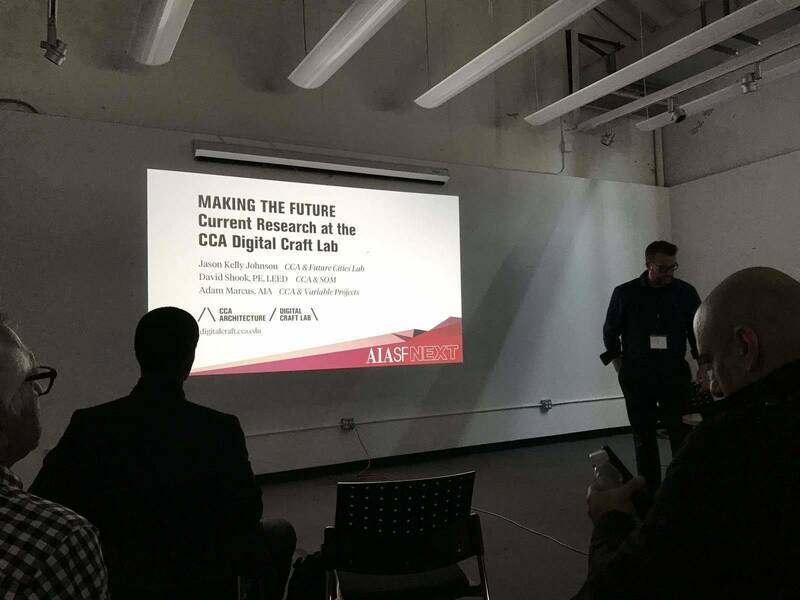 In early June, a few Design Everest team members attended the two-day American Institute of Architects San Francisco (AIASF) Next conference. While Design Everest’s expertise and focus is in structural engineering, we value the opportunity to network with our prized architectural partners and learn about issues, new design concepts, and technological progress in the architectural space. The first day was a pre-conference symposium focused on homelessness, a well-known issue in San Francisco and other metropolitan areas. The symposium began with an introduction to the state and evolution of homelessness in San Francisco and continued with a presentation of design concepts to ameliorate homelessness prepared by students from Academy of Art. Next, speakers from San Francisco Public Works gave a presentation about their concept of a homeless shelter that has morphed into a ‘Navigation Center.’ The focus of a Navigation Center is providing a healing restorative solution for people that embraces the 3 Ps (Possessions, Pets, & Partners) and providing a place to live with courtyards and no set meal times. Finally, Leddy Maytum Stacy Architects gave a presentation entitled, “Holistic Design for the Wellbeing of the Unhouses.” The emphasis was on changing people’s perceptions of what affordable/supportive housing can be. Recent projects were highlighted and some key design attributes were identified such as centrally locating community gatherings, the therapeutic effects of both active and passive connections to nature, and accessibility beyond code. 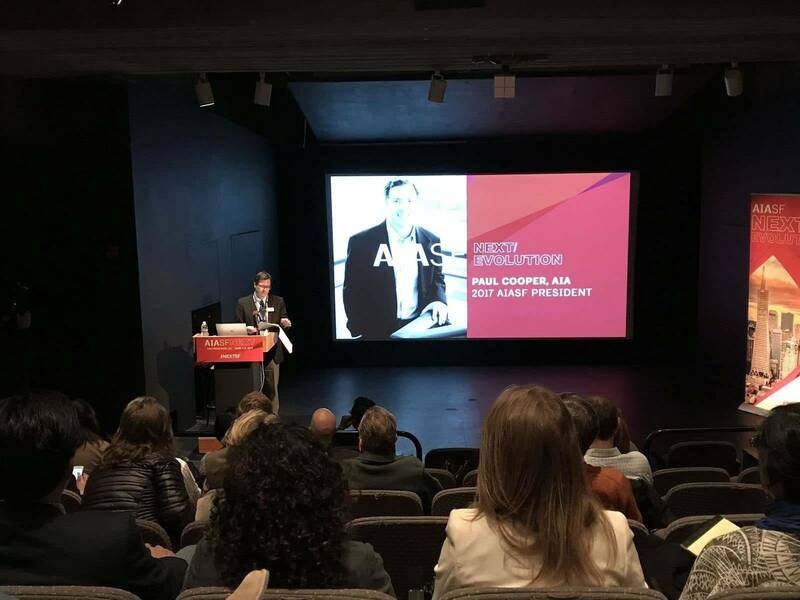 The second day began with an introduction to the day’s events led by Paul Cooper, 2017 AIASF President and Jennifer Jones, AIASF Executive Director. An inspiring keynote presentation was then given by John Cary, author of The Power of Pro Bono: 40 Stories About Design for the Public Good by Architects and Their Clients. John’s takeaway from years of research is that dignity is to design as justice is to law or health is to medicine. For the rest of the day, attendees had their option of four concurrent breakout sessions in either the Design Track, Business Track or Technology Track. Classes covered a broad range of topics from Changing Team Structures: Integrated Design & Delivery Management to Virtual Reality and the NEXT Steps for Architecture to Generating Inclusive Well-Being. 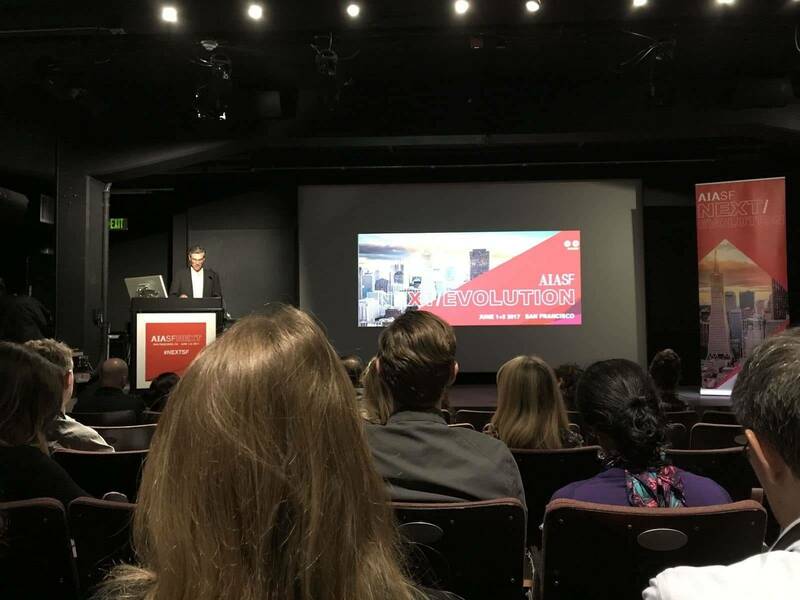 One of John Cary’s concluding remarks was to “be proactive – seek out work and form alliances with other fields.” That is precisely why Design Everest chose to attend this AIASF event and we would like to thank the AIASF team for putting on this amazing event and look forward to future collaboration and next year’s event!